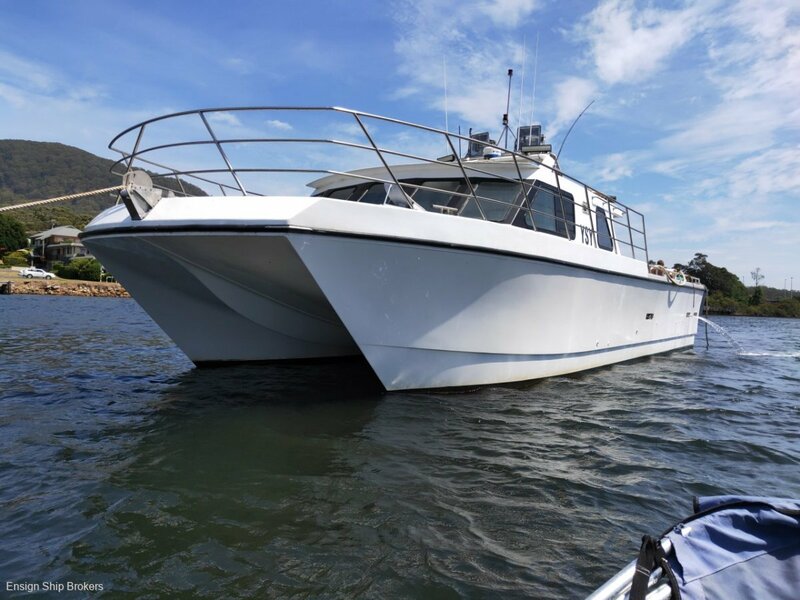 This 2009 Catamaran was built as a cray boat and has had all the work done to take this boat from being a cray fishing boat in 2B, 3B, 2C, 3C for 4 to a charter boat. The final submission is yet to be lodged but has all paperwork completed for the survey upgrade. 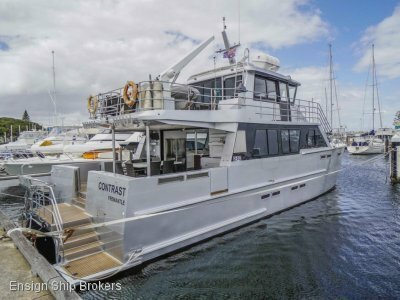 The boat still needs a new life raft to survey and a second toilet for the survey to be completed. 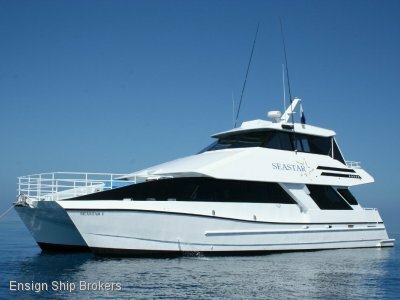 This is a good dry boat and would be excellent for whale watching, charter cruising, cray fishing, tourist transfers etc. 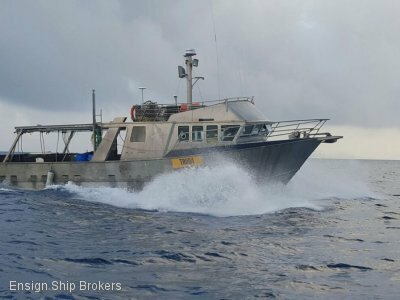 The shallow draft and high speed allow for manoeuvrability and comfort. 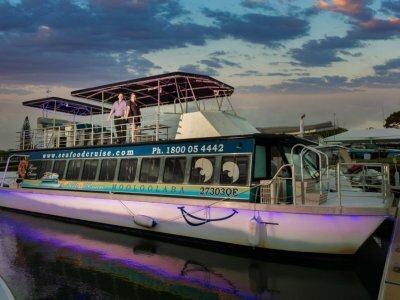 The open deck space of 45 square meters is versatile and could easily be covered for passenger comfort or is a huge commercial space for use again as a cray fishing boat.